Visual identity is what helps people differentiate one product from another while conveying the emotional and symbolic values that make the brand relevant. Garza Group applies strategic thinking, creative spark, and rigorous technical skill in the creation of effective and compelling brand identity programs. 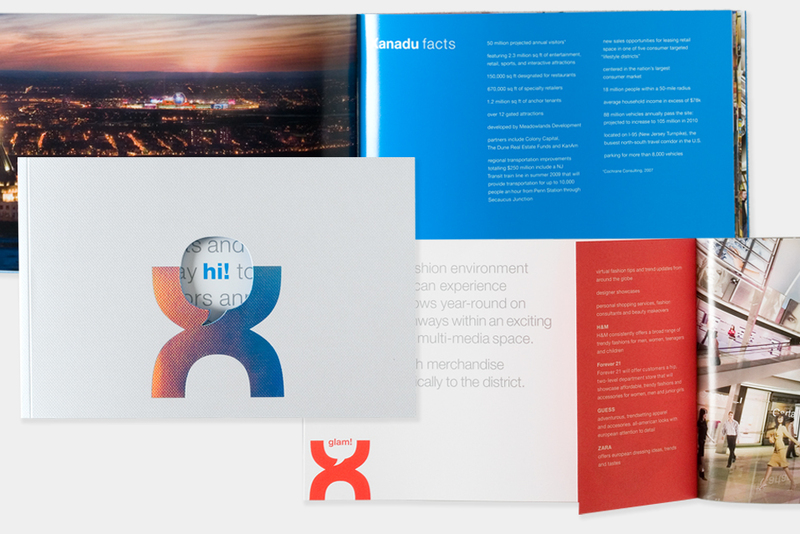 Brand identity program for Meadowlands Xanadu, in New Jersey.